That’s right it’s official: Metallic colour is the hottest hair trend right now!!! Surely, you’ve caught wind of the budding metallic makeup trend, but did you know that it stretches beyond your face? That’s right, it’s official: Metallic hair colour is in. From sleek silver ponytails to gunmetal greys, you’re going to fall in love with these beautiful shades. So, if you’ve been toying with the idea of a hair colour change—especially one in the “ronze” (red + bronze) or rose gold category—now is as good a time as any to take the colourful plunge. As soon as you catch a glimpse of your gleaming strands, you’ll be in hair heaven. ….. and Barry’s Hair & Beauty Studio, Galway is the place to have it done right. It’s highly anticipated ALFAPARF Milano Evolution of Colour METALLICS range comprising six stunning, on-trend METALLIC SILVER and METALLIC ROSE shades which allow you to effortlessly create the most sought after metallic looks of the moment. Kylie Jenner’s sought after looks is now available at our Galway studio. 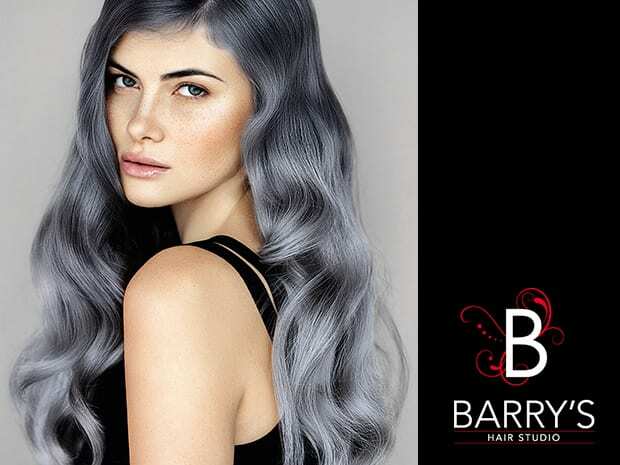 Be bold with our METALLIC SILVER range of three glam grey shades with silver tones enriched with blue hues – in Dark Blonde, Medium Blonde and Very Light Blonde. These grey, silver and blue metallics complement sallow, olive and warmer complexions. Rock ‘n’ Rose with this summer’s hottest, trendiest hair shade following suit with some of the world’s most famous celebrities including Cara Delavingne rocking the metallic look this season. ALFAPARF Milano’s METALLIC ROSE collection of three coppery rose shades brings you fabulous coppery red tones with traces of pinky rose. These soft metallic tones are available in Medium Blonde, Light Blonde and Very Light Blonde and flatter fairer, paler, cooler complexions with a complementary pastel wardrobe palette. Ivy white, a streak of violet or full-blown granny strands – take your pick! 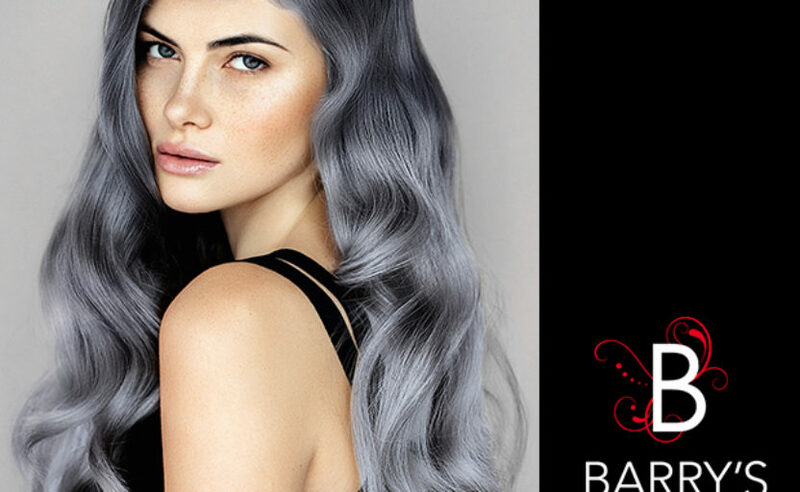 Yep silver hair is trending – and if you’re all about the subtle shimmer to accentuate your locks, look no further than a striking silver shade. It works for both the young and restless and the older and wiser! To prevent the dreaded colour fade, Barry’s Hair Studio also offer ALFAPARF Milano’s PURE PIGMENTS – a ground-breaking colour service and an after-care product range. Offering innovation that permits the personalisation of colour in an incredible variety of shades, the products contain a reduced concentration of your specifically selected pigment so you can maintain and care for your unique colour or tone enhancement at home between services preventing colour fade. Ready to pick a colour? Find all the fab shades at Barry’s Hair & Beauty Salon….